We woke up bright and early to head on over to Animal Kingdom. Just like with the Frozen ride at Epcot, I was unable to get any Pandora ride fastpasses. Which to be honest, was expected because I could only book a month in advance. 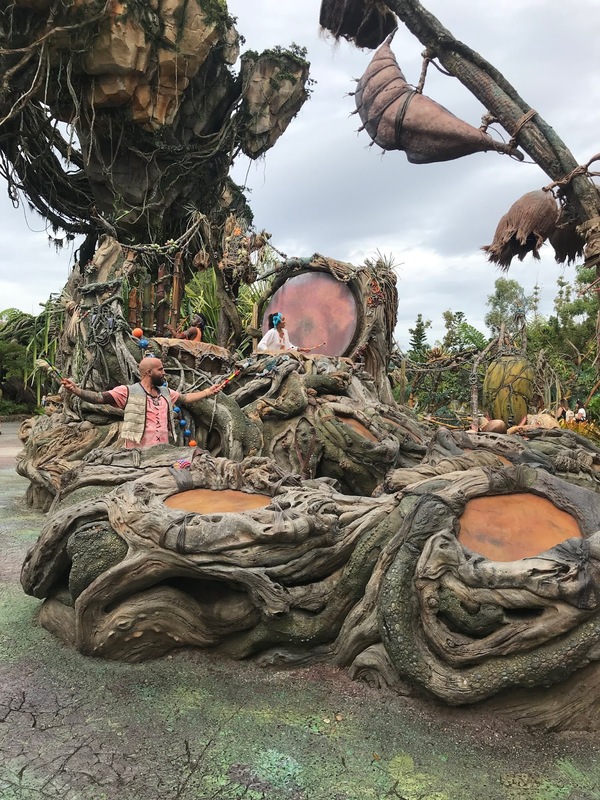 Our plan was to run to Pandora and jump in the Flight of Passage ride as if you don't know it's incredibly raved about and queue times can get up to 3 hours! Mad. When we first arrived, we were a little worried as there were so many people (who all had the same idea - run to Pandora) but luckily we jumped in the queue and waited 20 minutes max to get on the ride. 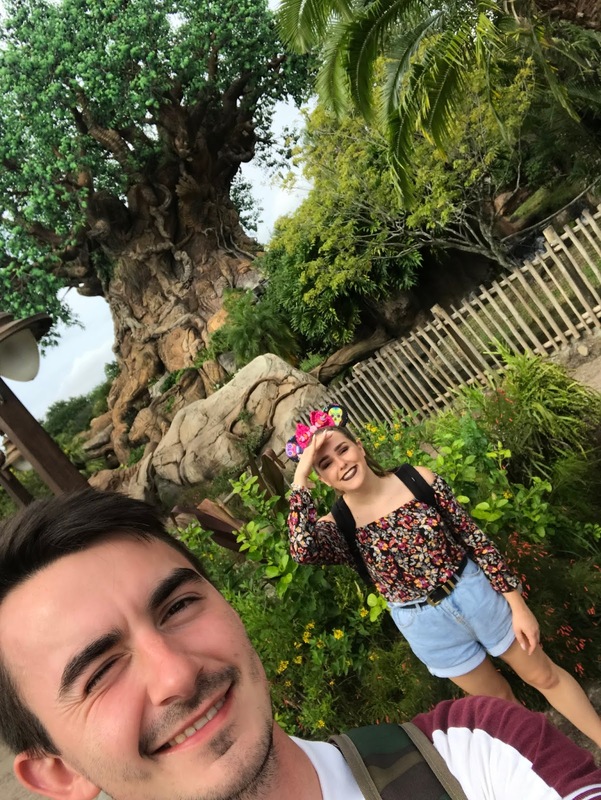 We both 100% recommend getting up early and rushing over to Pandora if you don't have a fastpass for Flight of Passage as it's definitely worth it. After we rode Flight of Passage, we wondered round Pandora and noticed that the drummers were performing which I really wanted to watch as we haven't watched them perform before. They were so much fun to watch and one of the drummers even gave me an instrument to play at the end to try and wake the Banshee's up! It really was so much fun and I definitely would watch them again in the future. After we watched the Pandora Drummers we explored Animal Kingdom further. We rode Everest and the River Rapids, which were both a lot of fun! After that, I really wanted to meet a few characters. 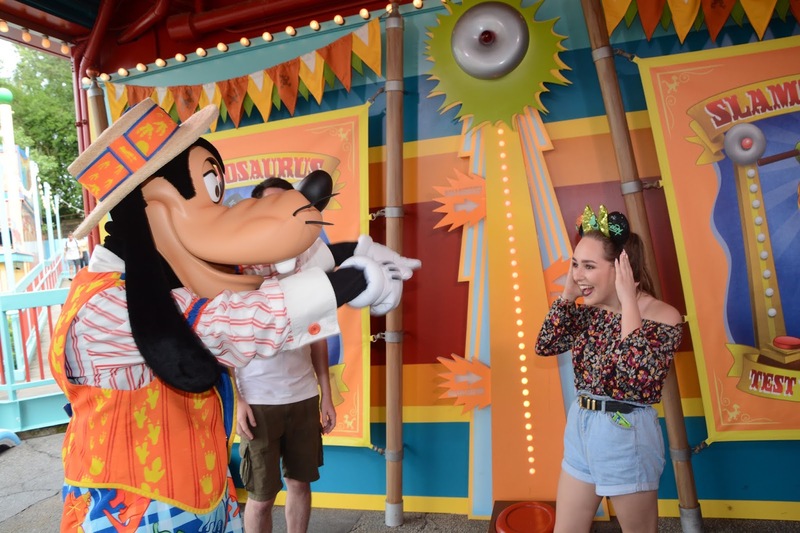 The first on my list was to meet Goofy as I hadn't met him yet and I wanted to show him my Goofy ears! Honestly, this meet was so much fun. 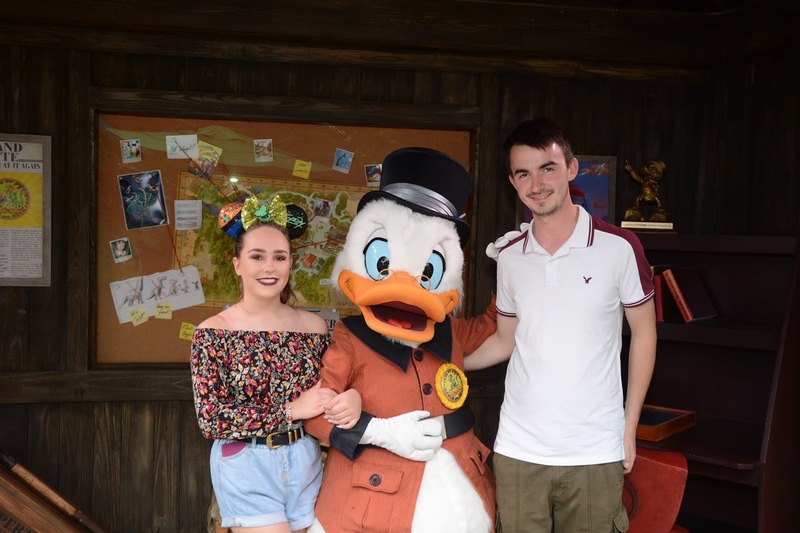 He was just adorable and I have never been hugged so much from Goofy in my life which definitely made my day as he's my favourite! 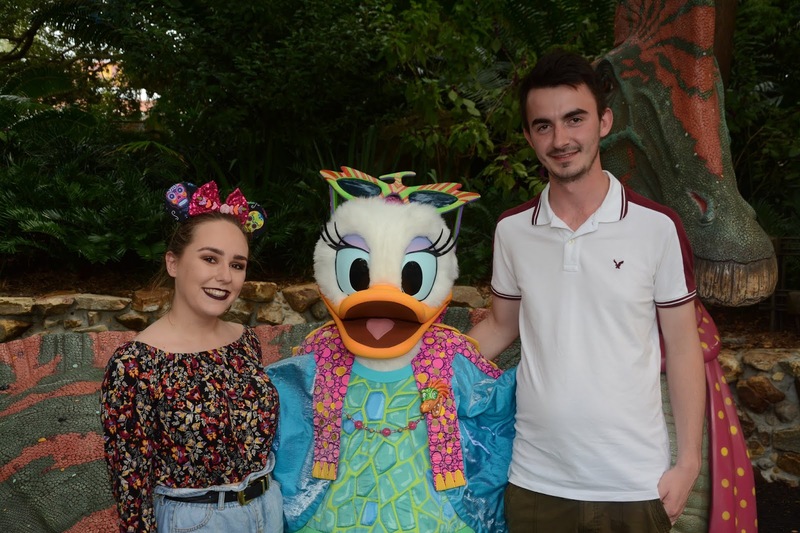 We also met Scrouge and Daisy. Scrouge was after my bracelet and Daisy was as sassy as ever! I also loved her outfit (which she designed herself!). We also headed over to meet Mickey & Minnie as they're both adorable, especially in their safari outfits. *I would share the group photo of us four but Matt isn't smiling and has his eyes closed in both pictures! * Once we met with Mickey & Minnie, we headed back to our hotel to have a little rest and then we headed off to Epcot for an evening wonder. Once we had a chill at our hotel we headed to Epcot. The main goal for the evening was to watch Illuminations as it's soon to be going to be revamped and created into a new show. So, I was very determined to watch it as I knew it would be the last time we would be able to see it. Before we settled down to watch Illuminations we jumped on a few rides including Test Track and Mission Space. 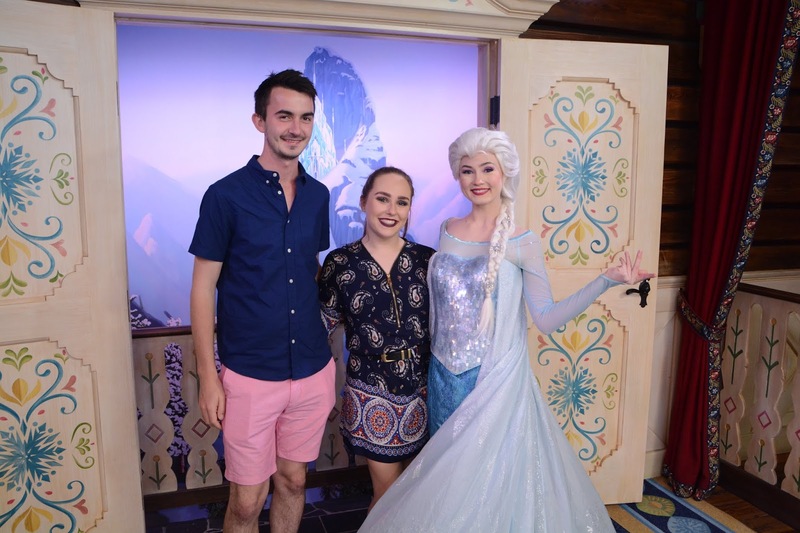 We then met Anna & Elsa as we always love to meet the two of them when visiting Disney. We had such a laugh with Elsa, as she told us how Olaf always makes such gross Christmas Cakes but she loves them anyway! Anna told us we should visited them in Arendale to have a summer and winter day together. It's always so much fun meeting the both of them. After we met them, I decided to buy a snack from the German Pavilion and then Matt and I perched ourselves on the a bench waiting for the fireworks began, however it was raining cats and dogs so Matt and I got drenched! But we were adamant that we would not move from our seats so we covered ourselves in our ponchos and snuggled up close. It was definitely an experience but definitely worth the wait as we got such a great view of the fireworks (when they eventually started!). 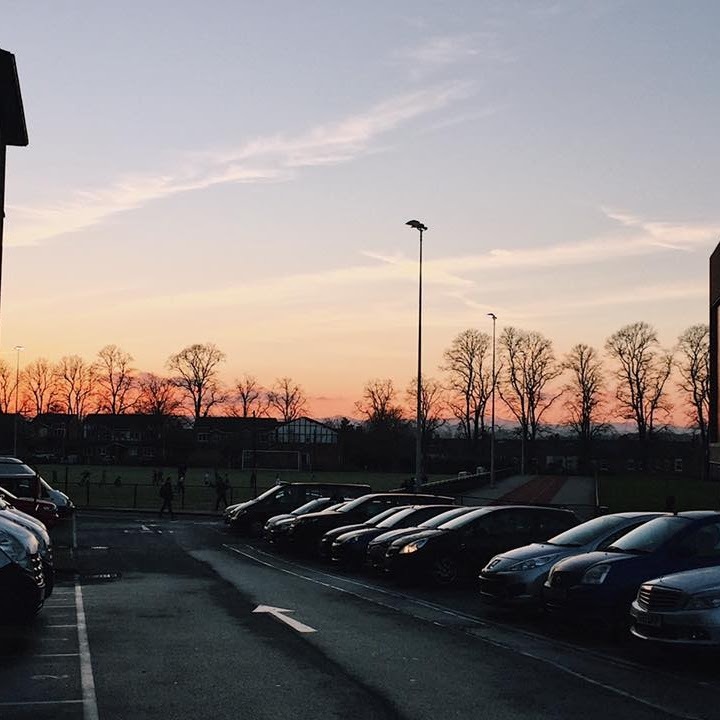 Overall we had such a lovely third day, even if we ended it soaking wet! 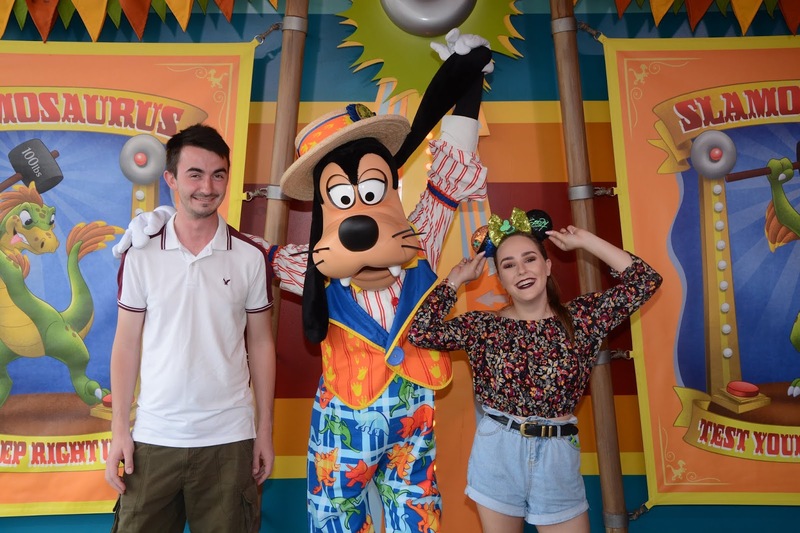 I was so happy that I met Goofy and had such a great meet with him too. 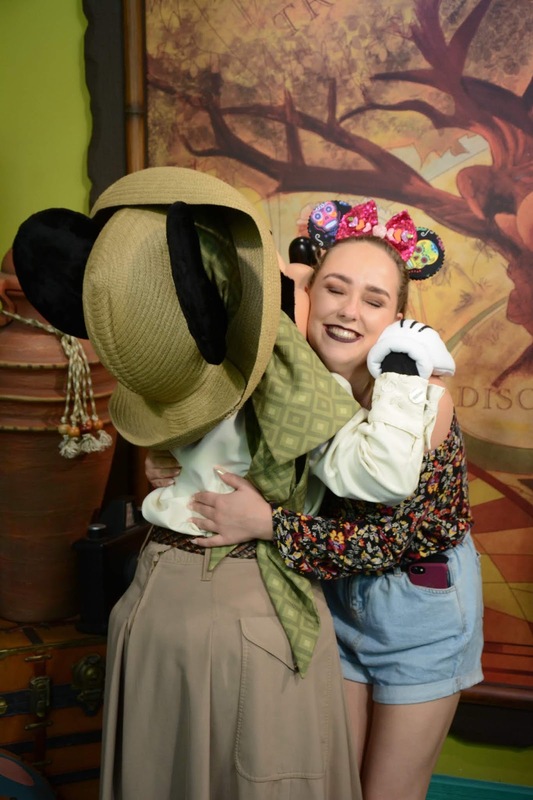 It always makes my day when we have great character interactions as it's probably one of my favourite things about Disney World. Anyway, I hope you enjoyed another Walt Disney Diary entry! Is that a dress or a romper that you have on in your Epcot pictures? 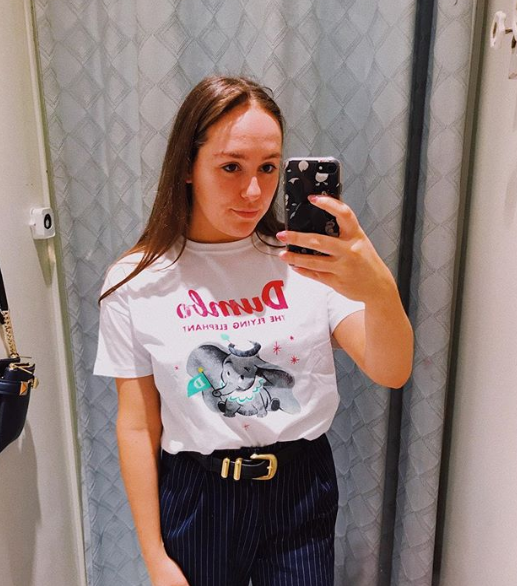 Either way- so cute! 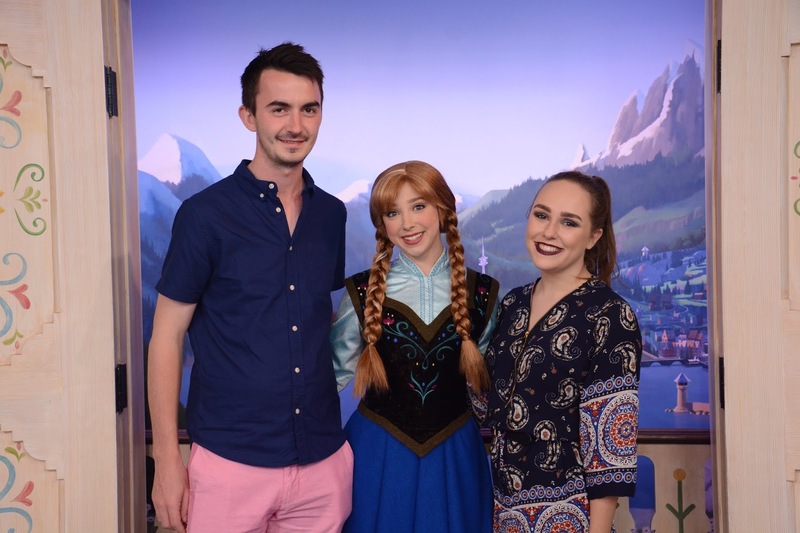 I like how you and Matt have colors on that match Anna/Elsa and the decor of their greeting room- makes for a really nice picture!